November 13, 2013, 7:20 am -- /EPR NETWORK/ -- Thanksgiving break couldn’t be better then America’s Action Territory. 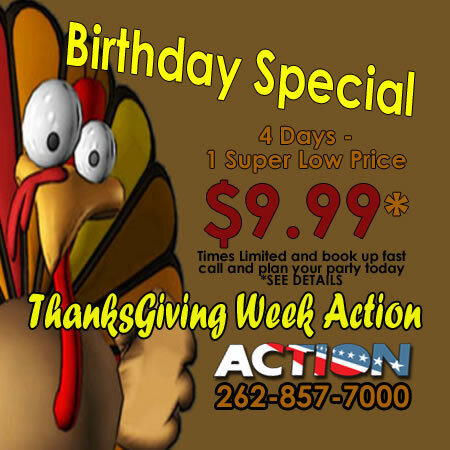 2013 Kenosha area Thanksgiving events include Action Territory discounts on the unlimited Indoor Birthday Party Blast and unlimited attractions wristband through Thanksgiving break November 26 – 30th, 2013. Before you grab that turkey leg, check out Action Territory thanksgiving break family vacation event ideas. 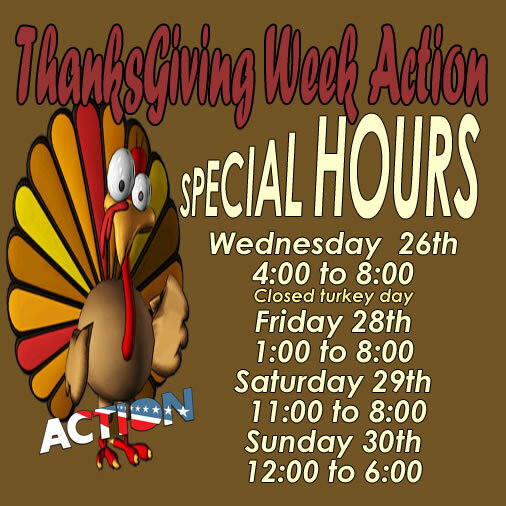 Thanksgiving activities for kids include the areas favorite family fun center, Action Territory discounts their Unlimited Indoor Attraction Package for Thanksgiving break week 2013 to $10.99 per person. Unlimited Laser Tag, Bumper Cars, The Heist Laser Conquest and through 2013. 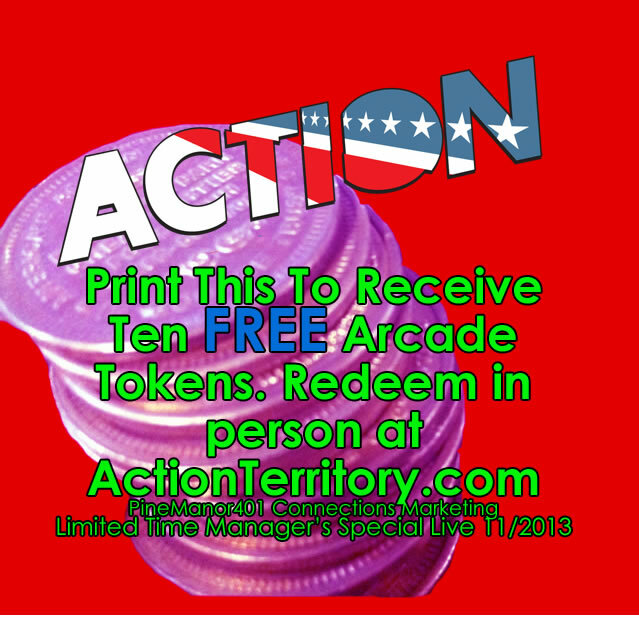 The Action Territory Amusement Park is centrally located between Chicago and Milwaukee, Just outside of Gurnee, IL always has FREE parking, Free WiFi and Free Admission. The huge 15,000 Sqr Foot complex has over 150 video and redemption games ready and waiting to challenge your gaming skills, with ticket rewards that can be redeemed at the Action Territory Prize Center. Black Friday 1pm – 4pm $5 Unlimited Indoor Attractions. Relatives visiting? Bring all the relatives to Action Territory for Black Friday Fun. Come in early and grab this action territory black Friday special Unlimted Laser Tag, BallOcity, The Heist, and Bumper Cas. Contact Details: 12345 75th Street Kenosha, WI 53140 Kenosha Wisconsin. Action Territory.